We all know that WordPress is a very powerful Content Management System. It can easily be used to run more than just blogs. Plus, the best thing about WordPress is that you can extend it through the means of plugins, custom fields, or new content types. And speaking of custom fields and content types, there are two popular solutions that can help you work with them: Advanced Custom Fields and Easy Content Types. But between ACF and ECT, which one is better? And why? And for whom? In this comparison, I’m looking at the ins and outs of both! 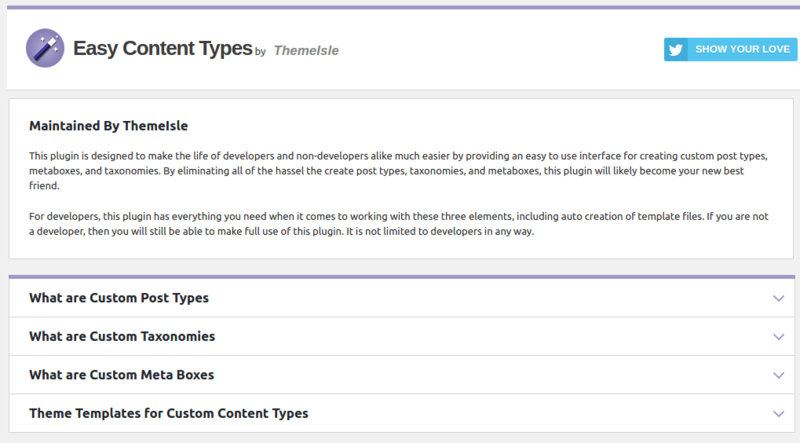 Developed by ThemeIsle, Easy Content Types lets you create custom post types, meta boxes and taxonomies within minutes. Basically, it allows you to register custom post types, taxonomies and meta boxes using a simple user interface. Thereafter, you can use it to automatically create theme template files for your post types and taxonomies. Also, you can use it to export the code for said custom post types, taxonomies or meta boxes, so that you can reuse it on other websites. and comes with shortcodes to query and display your custom post types and taxonomies anywhere you want. 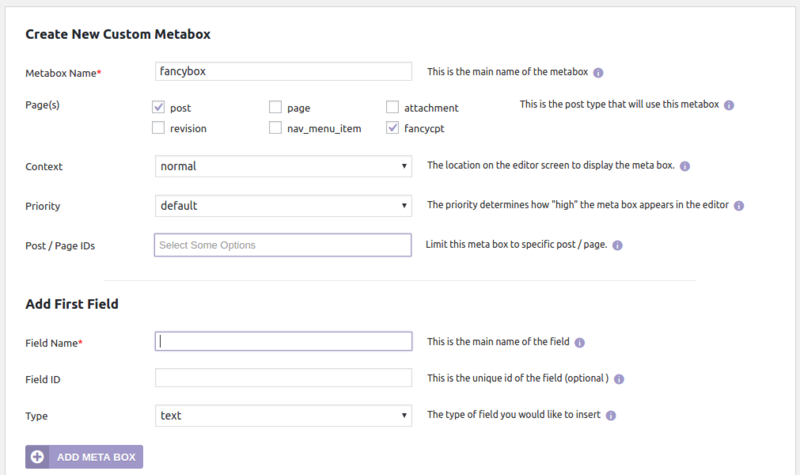 Beyond that, for custom meta boxes, ECT offers as many as 10 field types to help you add extra parameters to your meta boxes. Of course, you get granular control over everything that you create using this plugin. 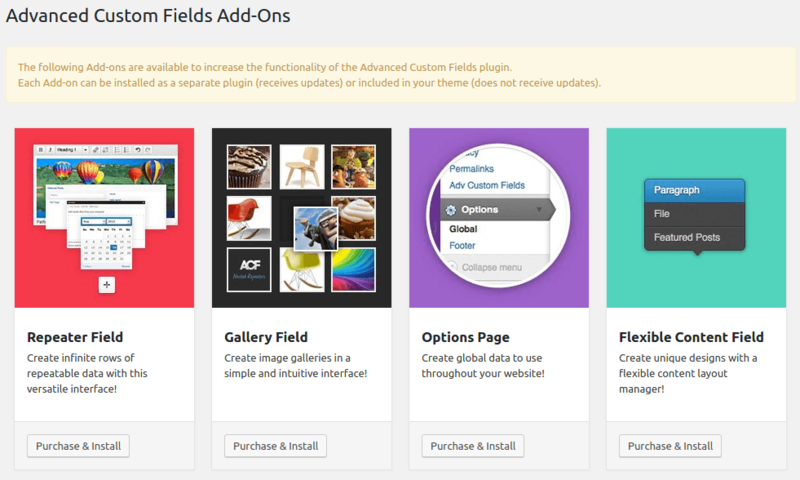 Advanced Custom Fields is a very popular WordPress plugin that lets you create, well, custom fields and meta boxes. You can select from different input types, and assign your fields to any custom location that you deem fit. ACF is available in both free and premium flavors, and its popularity can be measured from the fact that its free version has had over a million downloads! It offers numerous field types and the ability to select and create them via a visual interface. As you might have guessed, Advanced Custom Fields is not a minnow in its league. 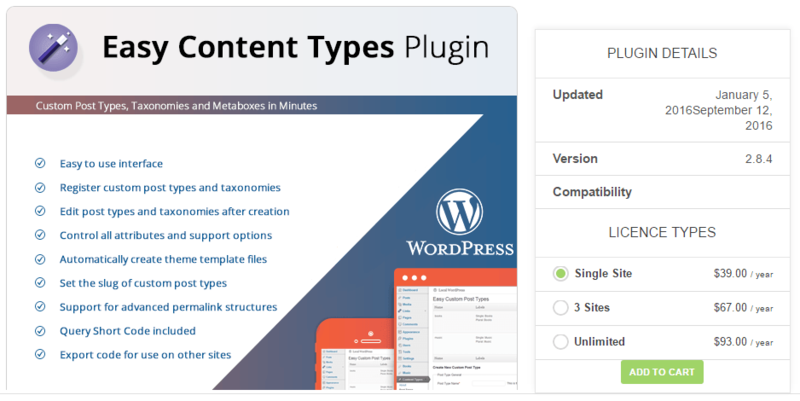 It is a complex plugin that caters to the needs of WordPress developers when it comes to managing custom field types for content, and extending WordPress functionality overall. Easy Content Types is, quite possibly, the simpler and easier one of the two. 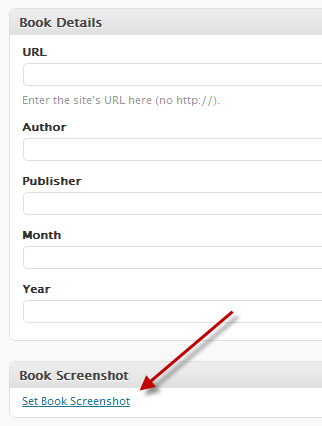 Once you activate the plugin, you are given a new menu in the WP admin panel, “Content Types”. The names are enough to tell you what each section does. Plus, there is a special menu that discusses what exactly custom post types, taxonomies and meta boxes are, and how they can be useful. Advanced Custom Fields, on the other hand, follows a similar structure in terms of interface. However, it is slightly more complex in the sense that you will need some time to get accustomed with it. Basically, it adds a “Custom Fields” menu to the WP admin panel. 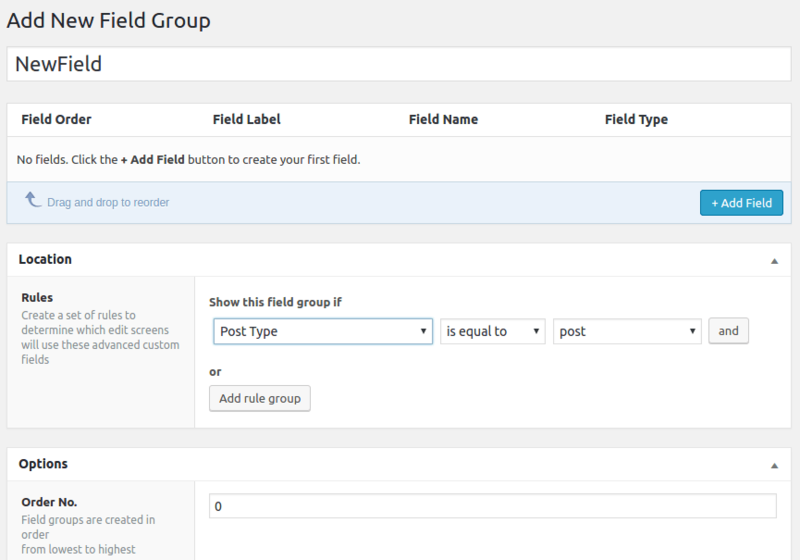 Therein, you can create new field groups directly. The interface is not complicated, but it surely seems overkill for a beginner. In fact, even the drag and drop interface is not something you can operate and master within minutes. That said, ACF’s custom rules are a great thing to have, as they can provide you with great control over your content. There is not much extra to talk about when it comes to the interface itself, since ACF only handles custom fields and not post types. Verdict: ACF offers a highly workable and powerful interface, but Easy Content Types seems to be the winner in this aspect owing to its ease of use. This is where picking one plugin over the other seems tough. Advanced Custom Fields is, to be fair, the de facto leader when it comes to custom fields in WordPress. Over a million active users cannot be wrong, can they? ACF offers numerous free and paid field types for you to work with. Even more so, owing to its popularity, it is backed by several addons that you can use to enhance the plugin’s power. For instance, you can use Repeater Fields to create rows of repeatable data, or addons to add fields for popular plugins such as Contact Form 7. What about Easy Content Types? The plugin is surely not as popular as ACF, and naturally, there are no community-based or developer-backed addons as of now. 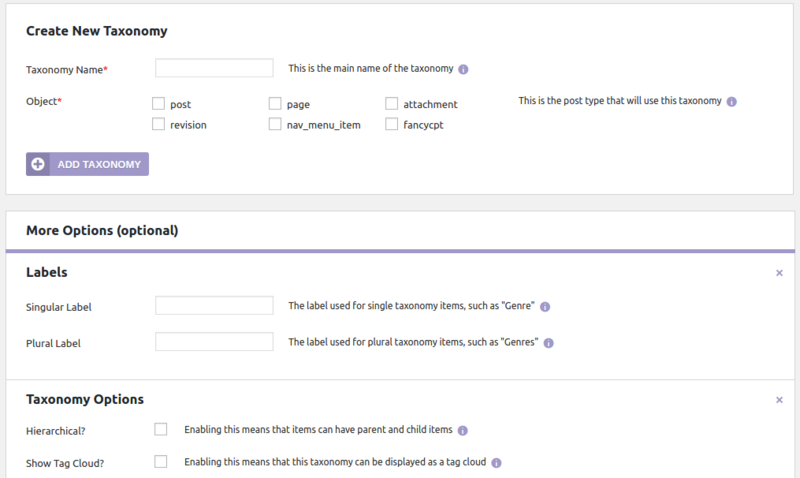 However, ECT’s main offering is that it lets you create custom post types and taxonomies apart from just custom fields. Now, if you are really using a plugin to extend WordPress as a CMS, there are very good chances that you will be needing more than only custom fields. You might already have a solution for custom post types in place, or you might be coding them all by yourself. Either way, ECT can help you and possibly make your life easier by handling it all for you. Beyond that, ACF is a complex plugin. It is meant for WordPress developers, and the plugin itself seems self-aware of the fact. Any beginner or less-confident user will surely have a hard time playing with ACF. ECT, on the other hand, is as simple as it gets, and plays well with both developers and casual users alike. Verdict: Advanced Custom Fields and Easy Content Types are equally rich in terms of features but ECT offers the added advantage of creating and managing custom post types and taxonomies. Advanced Custom Fields has a free version that you can use without restrictions, and on as many websites as you want. However, the Pro version that comes with extra addons and features costs approx $20 ($25 AUD to be precise) for one website. Easy Content Types is $39 per annum for a single site. Naturally, it seems like a costlier option. However, bear in mind that most developers tend to work with more than one website. If you are using ACF across more than a website, you will have to pay $77 approx ($100 AUD). ECT has two other payment plans for that: $67 per annum for three websites and $93 per annum for unlimited sites. ECT does not have a free variant, but it does have a 30-day money back guarantee. Verdict: ACF is surely cheaper for single site usage, whereas ECT is cheaper if you need an unlimited sites’ license. In terms of sheer features, Easy Content Types seems to be a viable and worthy solution. It lets you handle field types pretty much like Advanced Custom Fields, but it also gives the bonus luxury of custom post types and taxonomies, something that ACF does not do out of the box. ACF is cheaper, though, and comes with a one-time payment model, something that ECT does not do. However, if you combine the price of ACF with that of a proper custom post type management plugin, you will probably end up paying more than what you would for ECT. That said, ACF has been around for a long time and has more addons to its credit. This, clearly, is an advantage for ACF users. As such, it all boils down to your usage. If, for example, you need something that just lets you create custom fields for your content as well as any third-party plugin’s content that you might have (say, a custom field for your contact form), ACF is the way to go! However, if you need to handle custom post types and taxonomies as well as custom fields for your content, look no further than ECT. Planning to give Advanced Custom Fields or Easy Content Types a spin? If so, do share your feedback with us in the comments below! Verdict is already known. Pods!!!! After spending way too much time trying to get Toolset to work the way I want it to, I switched over to ACF and it has completely changed the way I build websites (for the better!). I am a big fan of ACF. ACF is a great plugin, but I have come accross a plugin called Bonzer Custom Fields, new in the market but its very easy to use, flexible and fast. Give it a try. I have been using ACF since long time, but now I have fallen in love with it. Pods seems future to me. old ACF user.